With the regular season in League One and National League complete and all the main non-league competitions finished as well, the season is well and truly winding down. As is customary at this time of year, I've padded the match map out with a few games from the 11th tier but even they are few and far between. Apart from some huge games in the Premier League, the highlights this week are the National League play-offs, a couple of county cup finals and some U23 football at clubs' main stadiums. During the week just gone, many of you got to enjoy the Ryman League play-offs which produced some epic games. Dorking Wanderers, who had finished joint top of the Ryman League Division 1 South with a whopping 105 points, were the first to go up on Saturday but they were taken to penalties in the semi-finals by Hastings and Corinthian Casuals in the final. Thurrock caused a bit of an upset by beating Maldon & Tiptree in the Division 1 North final and at the time of writing, we're still waiting for the Premier Division final between Bognor and Dulwich to get underway - good luck to all involved at the Hamlet. Egham Town made the Southern League play-offs but fell at the first hurdle against Farnborough - nevertheless, it was still a fine achievement by the Sarnies to get there for a second consecutive season. 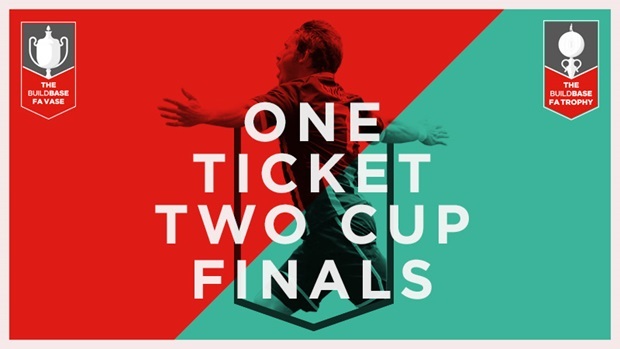 Less than 3 weeks to go until Non-League Finals Day - get your tickets now!!! From a personal point of view, after the disappointment of seeing Harrow Borough get relegated last week, it was a huge relief to see QPR avoid the drop by beating Nottingham Forest 2-0. This means we have an end-of-season dead rubber to enjoy at Norwich next Sunday which I am currently planning to attend. Despite Carrow Road being a very easy ground to get to, I've never previously been so I'm looking forward to ticking it off the list. Before I forget, there's a special fundraiser taking place in south London on Saturday where Peckham Town take on Somaliland in a friendly. Entry is by donation with all proceeds going to good causes. See the club's website for more detials. There are only 27 matches in the London area over the next week with games in the Premier League, EFL, National League and several minor league and county cup competitions.